Reggie On The Cover Of Spider Man #700! 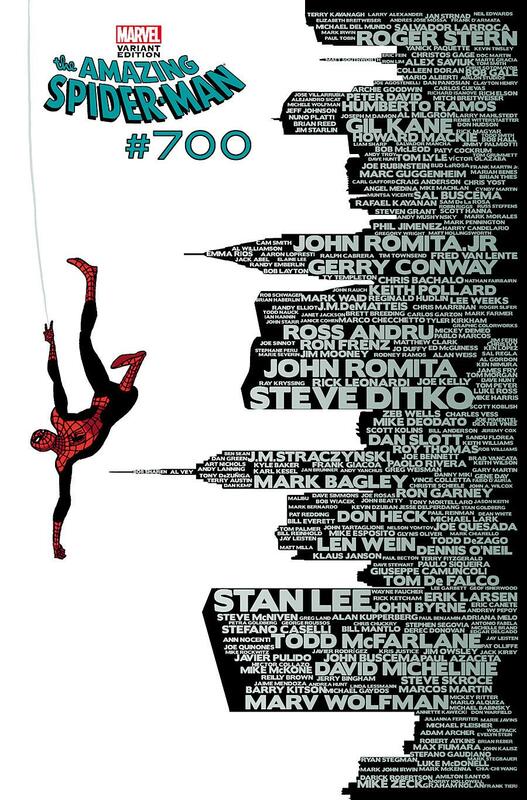 The variant cover of this milestone issue of Spider Man has a silhouette of the New York skyline with all the artists and writers what worked on the series of the decades. I’m very proud to have my name among them. I’m in the middle, in small, but not the smallest type. If you’d like to read my award winning brief run on the book, you can order a copy at WWW.REGGIESWORLD.COM. Special thanks to Hudlin Entertainment Forum member Hypestyle for pulling my coat about this honor.